Have you seen Man of Steel? I haven't yet, but in preparation (and in celebration of the 75th Anniversary of Supes), let's take a little look at the lady who has been by his side since the beginning -- Lois Lane! Dig these house ads that appeared in the romance comics! 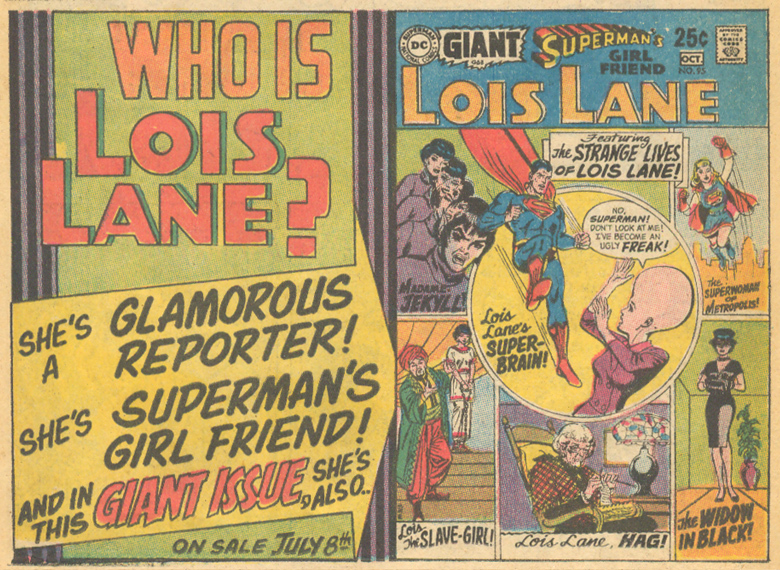 If you want to do a little more reading this fine Friday on Lois and her connection with the romance comics, here are a few links that you may enjoy! Unlikely Romance - Superman's Girl Friend Lois Lane in "I Am Curious (Black)!"